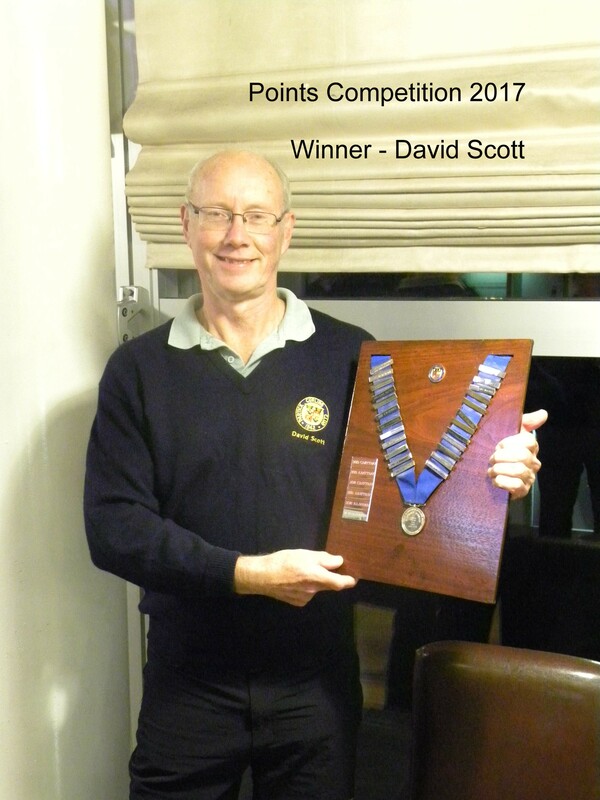 Following the success that Partick had in reaching the finals of the David Duncan competition last season we were invited to represent Breahead in the Superleague finals in Forfar over the weekend of 28/29 Oct 2017. A top quality event with many players who have represented Scotland in international competitions as our enemy. Our team performed well but did not progress into the knockout stages having had three close games with two of them going the wrong way. Our first match was against the Borders who led throughout the game but we were in touch all the way, finishing with a 7-4 loss. 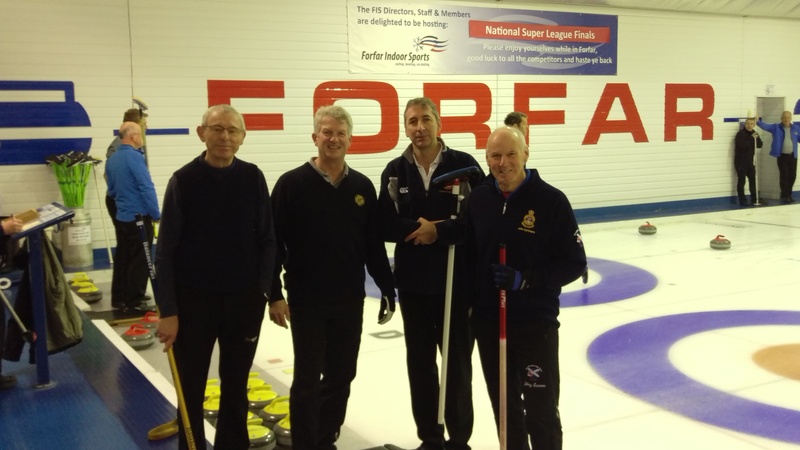 The second game was against a local Forfar team and Partick won the last 4 ends to earn the victory 6-5. The final game against the Peak (Stirling) swung both ways but ended up 7-7 going into the last end where the hammer advantage meant the game ended up 9-7. Apologies for the delay but I have finally updated all the competition results from the season 2016-2017. 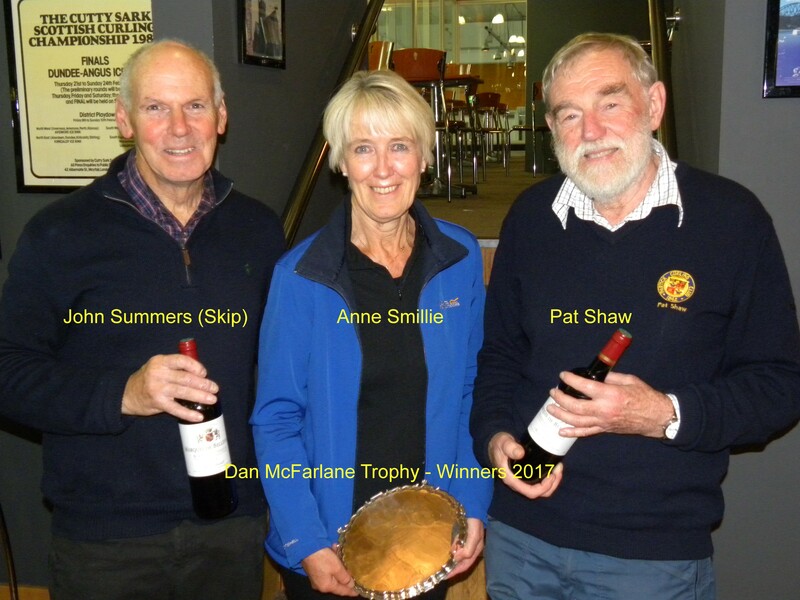 A great year for the competitions, internally the leagues being hard fought and some success in the Province and Braehead competitions with the final victory in the Jim Fraser Pairs where John Summers and Roy Lauder proved to be unbeatable! I have also added in another page in the gallery to capture some of the Bell fun that was had on the 25th March. A great Bell competition and dinner in the Pond Hotel after. You can also watch a short video of our illustrious president showing off the clubhouse in Victoria Park. 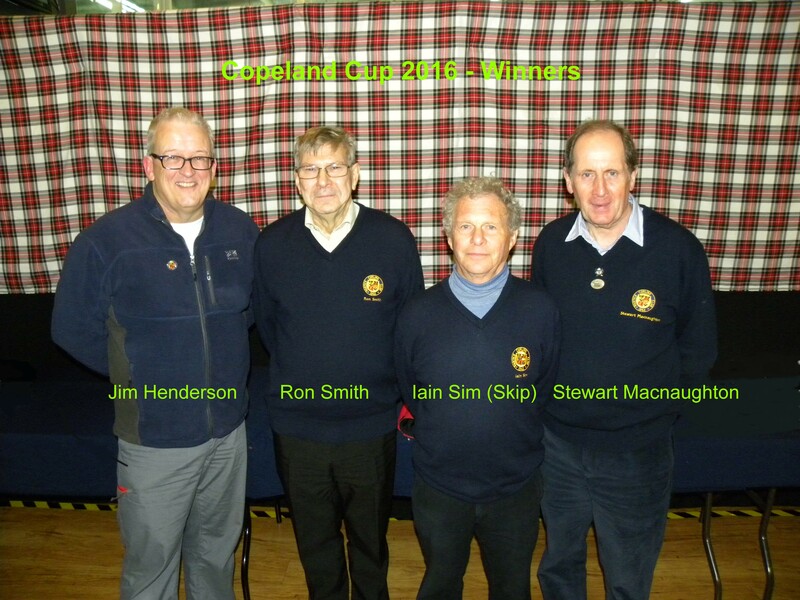 Congratulations to Team Rattray who had a storming completion to the season with 3 wins and 3 bonus points to just pip Team Lyon. A bonus point will be awarded to both teams if a scorecard is submitted showing a shot or shots scored in the 8th end. Normally, this will mean that the 8th end will be completed. 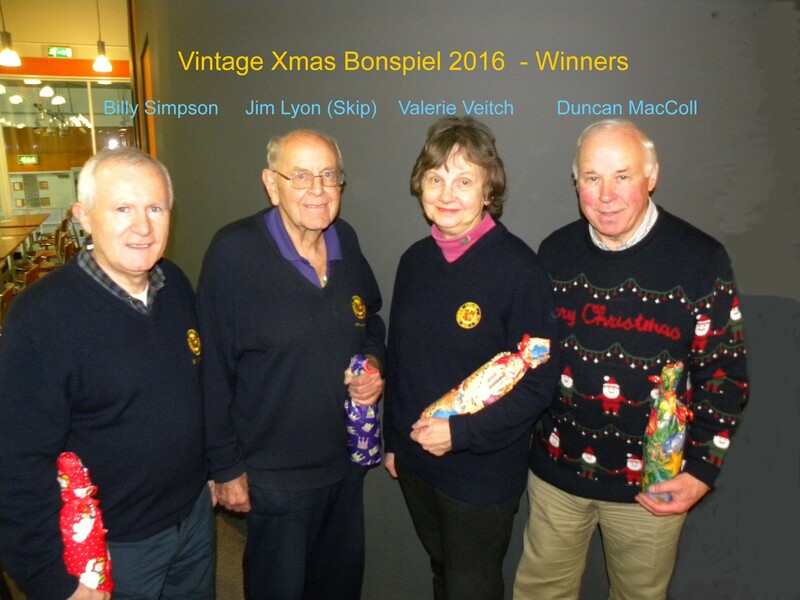 However, when one team is so far ahead after 7 ends that the skips agree to shake hands, one stone should be thrown by one member of each team nominated by the skip and the winner awarded the score of ‘1’ for the 8th end. Measuring the position of the first stone and then removing it is unnecessary. A player not involved in throwing the stones could be delegated to move and replace the first stone if there is any risk of it being moved by the second stone. A player brought in to substitute in a ​league team from another league team may play at 1(Lead) or 2 only. If the substitute is on the reserve list, (s)he may play in any position. No substitutes are allowed who are not members of PCC. Where a player is brought in as substitute, (s)he generally pays for the ice at the full rate for that session. However, it is acceptable for the original player to pay for the ice instead. In any case, the convenor should be informed what arrangement has been made. If no substitute can be found, the player who was originally due to play pays for the ice. It is the responsibility of team convenors to reconcile payments at the end of the League, Copeland or Medal competitions with details of how much is owed or due. The Treasurer should be copied into these messages so that any necessary refunds can be made. If, at the start of a match, a team has only three players, the game should begin but the non-offending team will receive one (1) shot for every five minutes that their opponents are one player short up to a maximum of four (4) shots. Penalty shots should be recorded as such on the scorecard. If there are only two players in each team, neither will receive any points and the match will be null and void. However, the remaining players may decide to play a friendly. Players arriving after the match has started may play in Lead or 2nd position only. 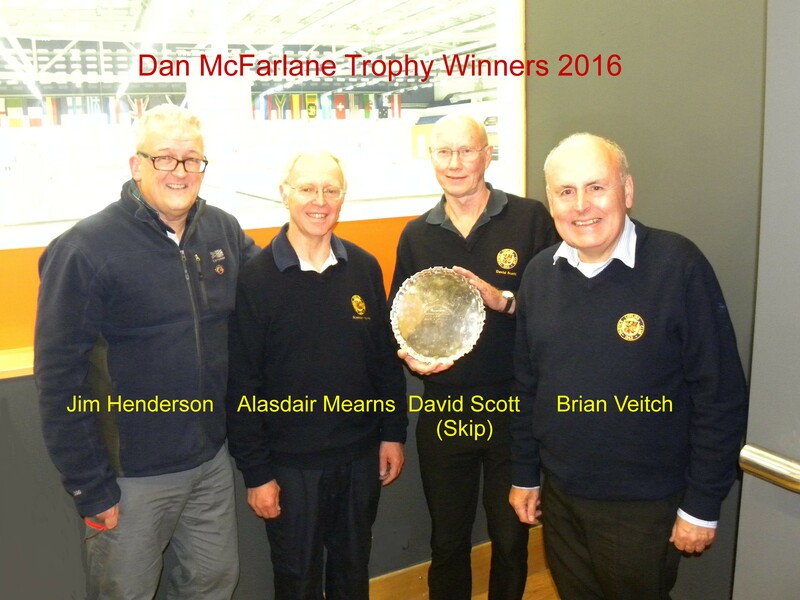 Congratulations to David, Alasdair, Jim and Brian on their victory in the Dan McFarlane.